• Durable plastic shaft and head with foam grips. • Solid foam balls roll well on hard and soft surfaces. 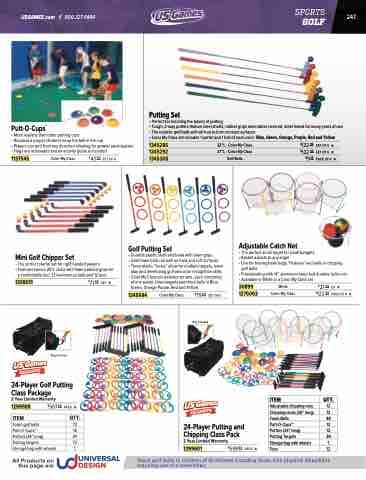 Teach golf skills to children of all abilities including those with physical disabilities requiring use of a wheelchair.